Caesars Entertainment and Scientific Games will partner together for sports betting in New Jersey and Mississippi, the former announced on Thursday. Penn National Gaming released another strong quarterly revenue report amid expansion into new markets and a planned kickoff of sports betting. 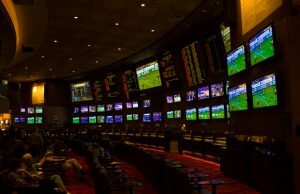 The international technology provider will power legal sports betting at Golden Nugget properties in Atlantic City and Biloxi, Miss. Daily fantasy sports companies FanDuel and DraftKings generated the majority of the headlines during another busy week of sports betting news.